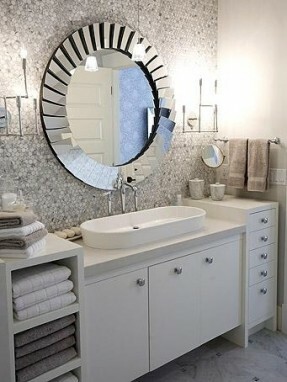 Mirror can become centerpiece of our home. Placing a big miror on the wall will enhance the beauty of the room be it with a frame or without, they are surely gonna steal the show. Hang it proudly and make it a decorative accent in the living room. 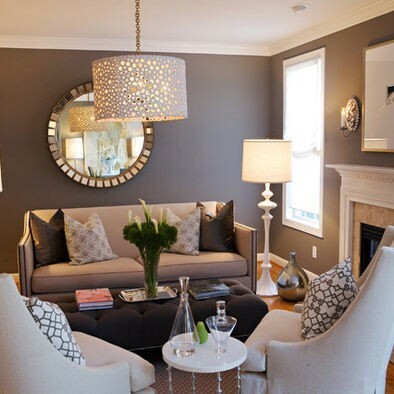 Charm your space up with these mirror in the living room. Small living room can be made bigger by adding a mirror piece to the wall. It will add depth and space to your room. Hang this stylish wall mirror in the living room to add a touch of glam. A new and trendy twist to the usual kitchen will bring elegance and charm. They are unexpected in kitchen. Mirrored kitchen cabinet can make your kitchen look beautiful. It makes the kitchen looks wider cause of the mirror effect. It can bring in more light adding brightness to your kitchen. A ribbon mirror behind your countertop can give a contemporary and modern feel giving an illusion of space, bling and character. 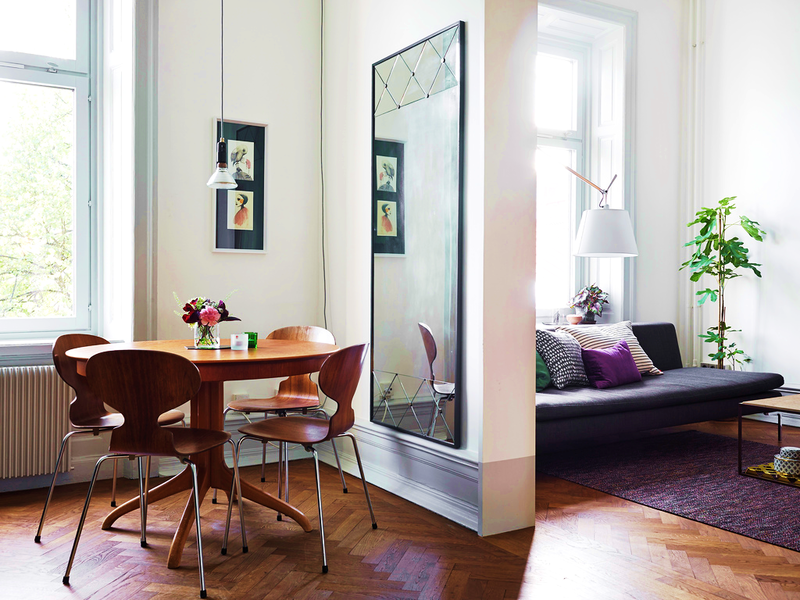 According to Feng shui, a big mirror placed in the dining area enhances positive. One should position the mirror in such a way that it reflects the diner as well as the food. Doing so means doubling the wealth. The yang energy is doubled whenever the family dines. Place one as shown in the pic above and bring goodness to your home. A stunning antique frame details with a contrasting background makes your corner an art in itself. Bring in vintage surprise to your home with this classic design to elite the décor of your room with charm and elegance. 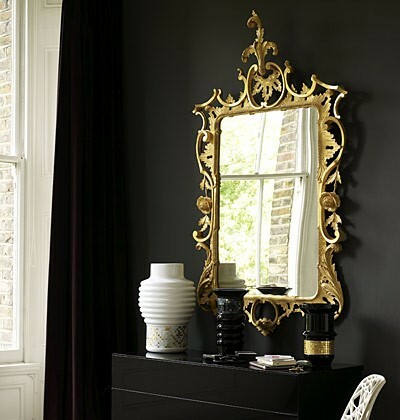 This elite looking mirror is straight out of a fairy tale and works well with a modern and contemporary look. Overflowing with eye-catching appeal, this elegant sophisticated wall mirror showcases a sunburst design. Set it above your bed or in the master suite to compliment a tufted bedpost. Sunburst designed mirror comes in various varieties. 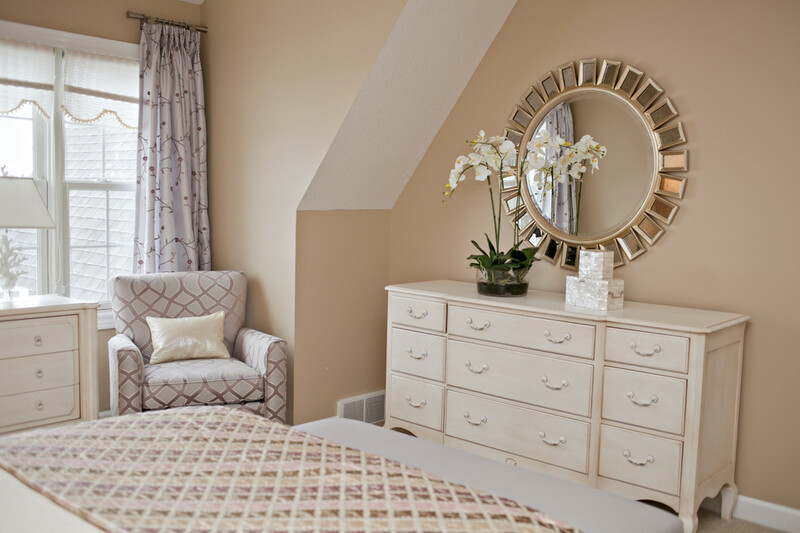 Choosing one accordingly would embellish your bedroom to the next level. Bathroom can be made elegant and sophisticated by placing a stylish mirror. The dynamic design of the mirror instigates a sense of creativity and versatility in the bathroom. An elegantly fashioned mirror of such types placed above your bathroom vanity is a sure bet to elevate the beauty of the room. Bring in a dramatic statement to your home with these unique decorative set of wall mirror. Hang it alone or in multiples. A collection of small hanging mirrors is arranged to exhibit a sequence of squares and diamond shaped mirrors will convey a modern art look to your home. Adorn these perfect decorations and make your home shine. Simplicity meets art. Adorning your home with these decorative handcrafted products would make a beautiful artifact to your home. Spice up your home with such types of products to give a graceful and elegant twist. These design brings in full of brightness, life, colorful and an aesthetic feel to your space. 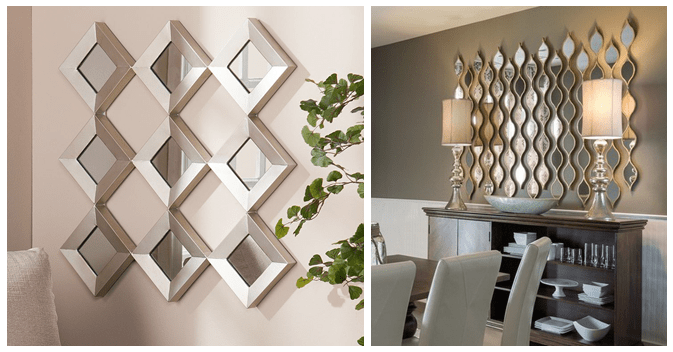 Get creative and add some excitement to your room with this contemporary, unique kind of wall mirrors. Place is not a matter as it would bring beauty and glamour to any room. Think out of the box and bring these in to get a wow factor from the guests. Some are do-it-yourself kind, so put on your thinking caps and chic up your house. 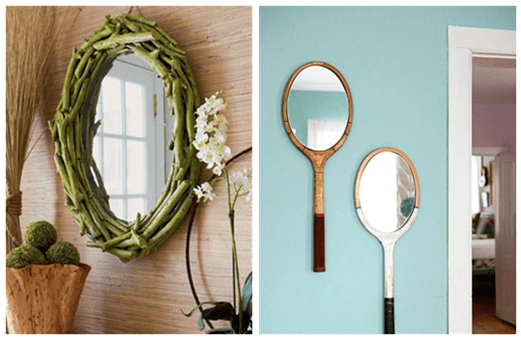 Need more DIY mirror decoration ideas, check it here Easy & Simple DIY ideas for Mirror Frame Decorations. Most people use mirrors every day without thinking about its beauty or implication. They blend in with any interior. Set up a theme for your home and choose various kinds of mirror in every room and create an illusion of space, depth and beauty. So what are you waiting for. Get some and adorn these beauties in your home. MIRROR MIRROR ON THE WALL, WHO IS THE BEST OF THEM ALL!! !